Root Node is a site-specific interactive installation. 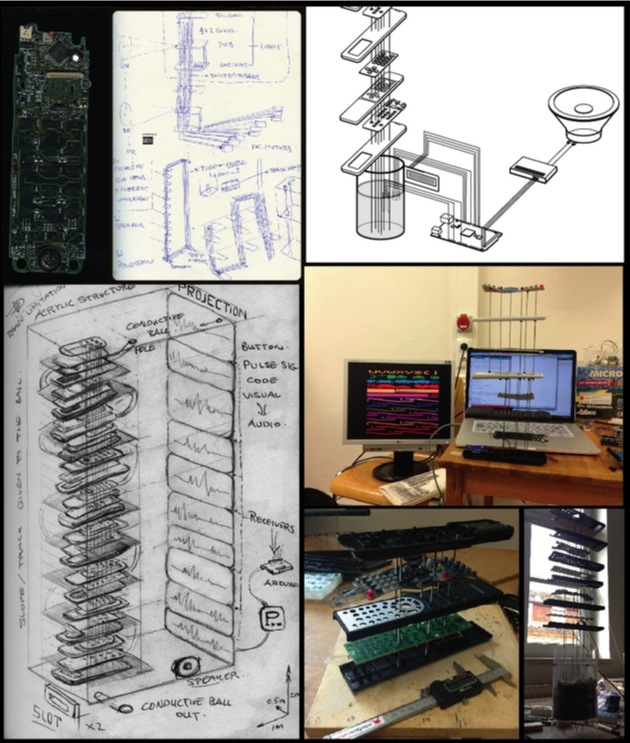 It involves stacked layers of disassembled remote controllers that are strung together by conductive rods and planted into the ground. 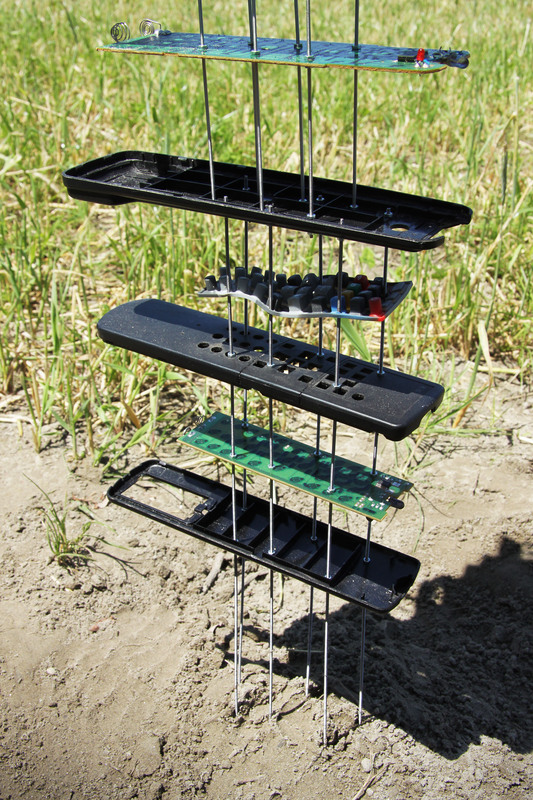 Whenever its root gets damp, nodes can be generated due to the conductivity of the earth interface, which in turn triggers the pulse-signal-based soundscape. The visitor wears the head-mount device to receive the signals within the range of the infred light. 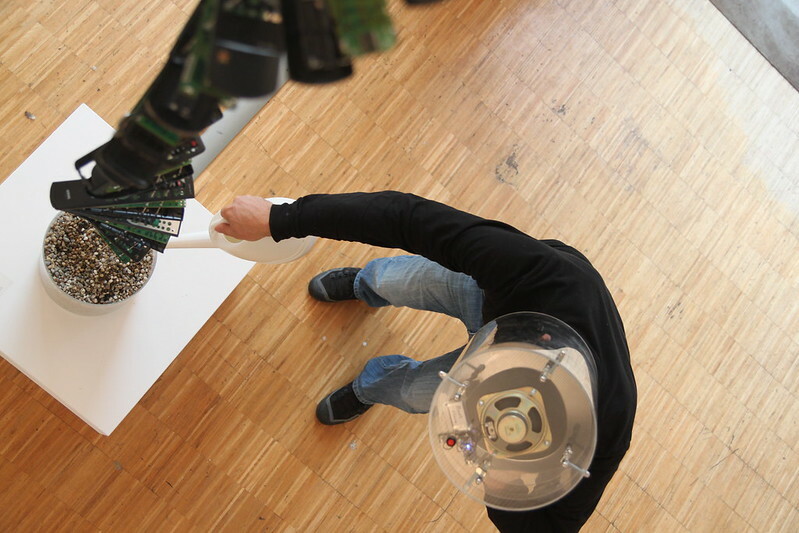 This work exhibited in 10 Years Interface Cultures at Ars Electronica 2014, Linz Austria. Thanks for the people who helps me finishing this piece, giving me advice and suggestions.